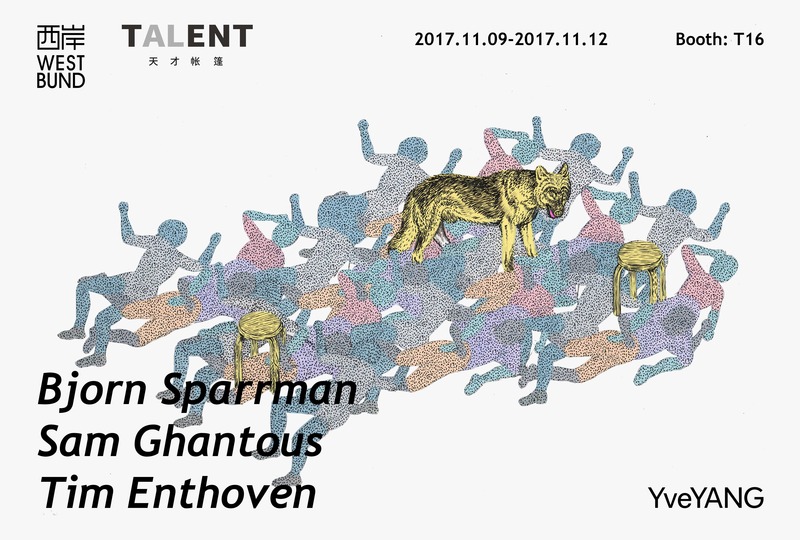 YveYANG is pleased to announce our participation in West Bund Art & Design 2017, Shanghai. Bjørn Sparrman (b.1989, US) lives and works in Cambridge, Massachusetts. He received his BFA from Calvin College in 2012 and his Masters of Science in Art, Culture and Technology from Massachusetts Institute of Technology in 2016. He is currently a research specialist at the Self-Assembly Lab at MIT. As recipient of the ArtPrize 2014 Pitchnight grant, he exhibited his large public work, The Grand River Checkpoint Project, during the citywide festival in Grand Rapids, Michigan. Sam Ghantous (b. 1989, US) explores architecture’s tension with technology and its effects on cultural production. His work exists both online and in real life as objects, images, videos, situations, and installations. He recently graduated from the MIT Department of Architecture where he is teaching and researching now. Sam has contributed to exhibitions in Toronto, Canada; Cambridge, USA; and Venice, Italy. Tim Enthoven (b. 1985, Netherlands). Dutch artist Tim Enthoven makes drawings, installations, situations, books, and video. His exhibitions include Language of Time at Annual Reportt in Copenhagen, The Form Of Form at the Lisbon Architecture Triennale, Partners at Abrons Art Center in New York and The Tiny Tim, the early years of Tim Enthoven at MU Artspace in Eindhoven. His work was published in The New York Times Magazine, Zeit Magazin and Le Monde amongst others. He got his BDes in communication-design from Design Academy Eindhoven and recently got received his MFA from Yale University. He currently lives and works in Amsterdam.